What Determines Your IRA Required Minimum Distribution Amount? I am often asked how a required minimum distribution (RMD) is calculated for traditional Individual Retirement Accounts (IRA). If you hold cash or investments in a traditional IRA, you must begin making withdrawals in the year you turn 70½. To calculate the amount of a RMD, you divide the IRA balance (as of December 31st of the previous year) by the applicable distribution period, or the estimated length of time during which you will take withdrawals from the IRA. If you have more than one IRA, the RMD must be calculated separately for each IRA account. However, the sum of the separate RMDs is the total RMD amount that you must withdraw for the year. The full amount can be taken out of any one or more of your IRA accounts. Under IRS rules, you may postpone your first RMD until April 1st of the year after reaching age 70½. If the RMD is postponed, the second distribution would still be due by December 31st of that year. 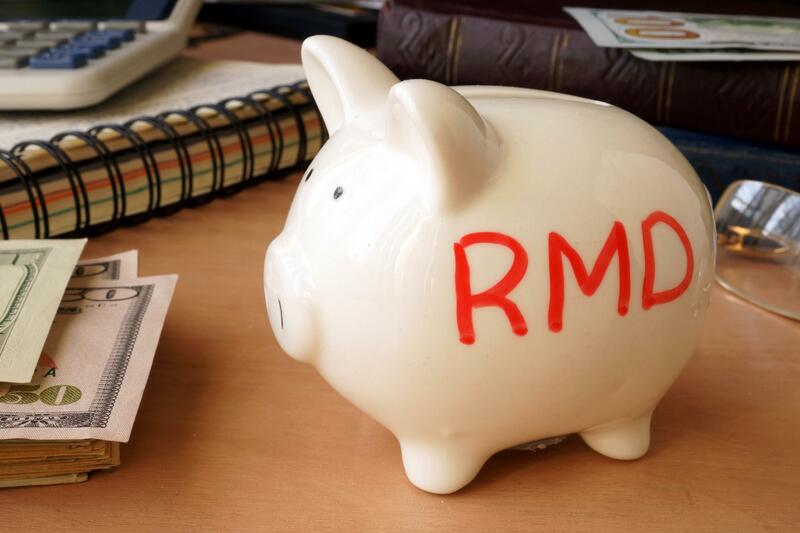 Postponing your first RMD until the next year can potentially move you to a higher marginal tax bracket because you end up taking two RMDs in one year. For each subsequent year, the RMD must be recalculated. It is important to note that you may withdraw more than the minimum, but failure to take the required amount results in a 50% tax penalty on the shortfall. You can learn more about RMDs in the Useful Links section in our Client Center. Please be sure to consult qualified financial and tax professionals for specific guidance on your unique circumstances. For example, you may be able to reduce your projected RMD by taking smaller IRA withdrawals before you reach age 70½ and after you reach age 59½. Inherited IRAs and employer plans like 401(k), Roth 401(k) and 403(b) accounts have unique rules that must be followed separately.